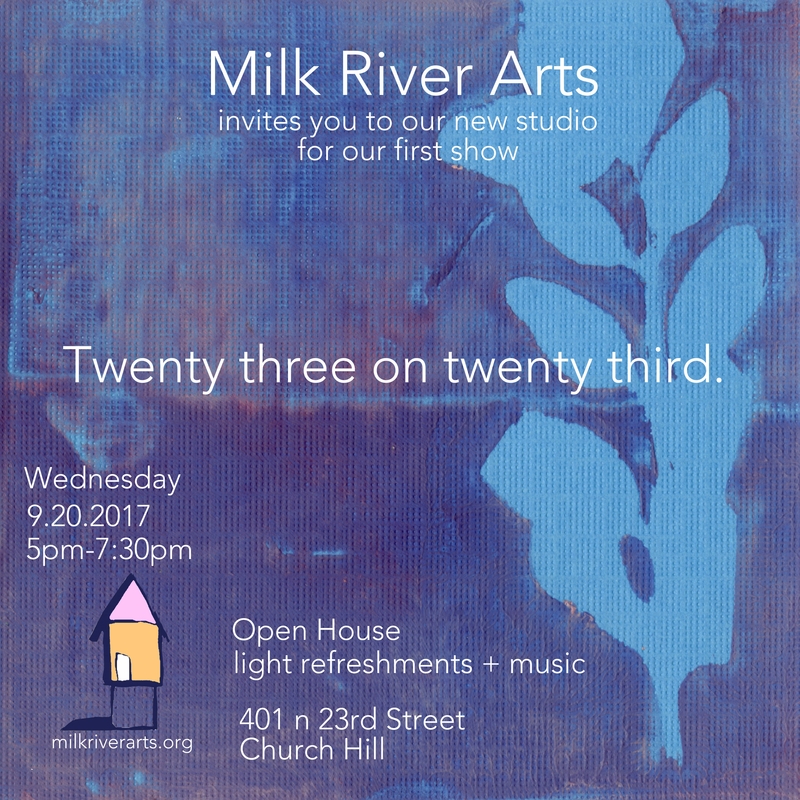 Milk River Arts is seeking adults (18+) with developmental disabilities who are interested in the opportunity to become professional artists. Becoming a skilled artist requires commitment, personal development, and creative vision. Once established, the Milk River Arts longterm career-based art center will provide a safe, supportive space and consistent mentoring by professional artists, giving individuals with special needs the opportunity to develop innate talents and engage with the arts community in Richmond and beyond. Milk River Arts 2015 Summer Pop-Up Workshops are preliminary events designed to find our initial program artists, and introduce ourselves to the community. ALL interested adults and their families/caregivers are invited to drop by anytime during Pop-Up hours to spend time with Milk River Arts staff and make art with local professional artists. Our first Pop-Up Workshop is taking place June 9-13, 11-3pm each day, at 1708 Gallery as part of their 10 x 10 program! 1708 Gallery is pleased to announce 10×10, its new summer program. From June 2 – August 9, 2015, 1708 will open its doors to 10 artists and community organizations. Each of these individuals or groups will occupy the gallery for one week, for a total of 10 weeks. Inspired by a program at Nurture Art, New York, 10×10 is an experiment—an open platform that treats the gallery as a communal space. Artists and organizations will use the time and the space to try something different, to test an idea, to experiment with a project, and to engage with new audiences. Across these 10 projects, a picture of the originality and quirkiness, intelligence and ambition, and overall creativity of Richmond’s community will be highlighted. 10×10 is sponsored in part by the Garland and Agnes Taylor Gray Foundation, a supporting organization of The Community Foundation Serving Richmond and Central Virginia and CultureWorks, Championed by Altria. Milk River Arts invites anyone (ages 18+) with developmental disabilities interested in exploring a career as a visual artist to join us at the 1708 Pop-up Workshop. This multi-day event allows adults with special needs to engage with professional artists, experimenting with a variety of tools and materials; including papers, books, cardboard, wood scraps, fabrics, adhesives, pastels, watercolor, gouache and acrylic paints. As artwork is completed, the pieces will be displayed throughout the gallery. Workshops are open each day 11am to 3pm to any adult with special needs and their families, aids or care-givers. Please join us!